Jahwohl and Littlecotage Rottweilers would like to welcome Humphrey to our home. he has settled in really well. He is a mummy's boy. He loves cuddles and sleep on the bed. 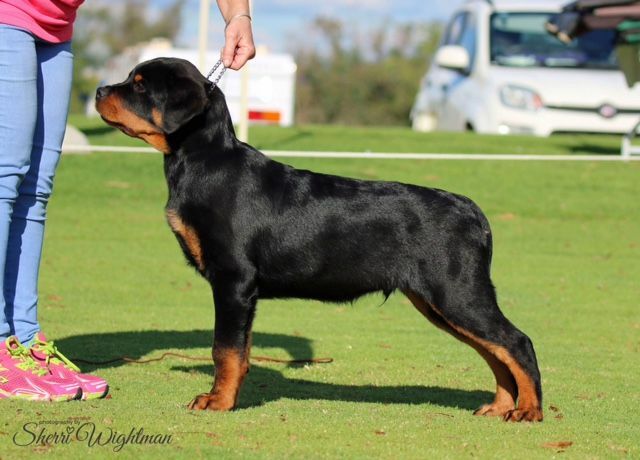 Humphrey debuted in his first All Breeds Championship Show in June 2018 and did us proud. He prounced around the ring as though he has always been there..
Watch out for this boy, I hope his future grows strong in the ring. We love him weather he wins or not.